From a quote by Mark Twain, wear this mantra to remind you to get the most out of life – embrace each moment, explore all life has to give and dream big dreams. 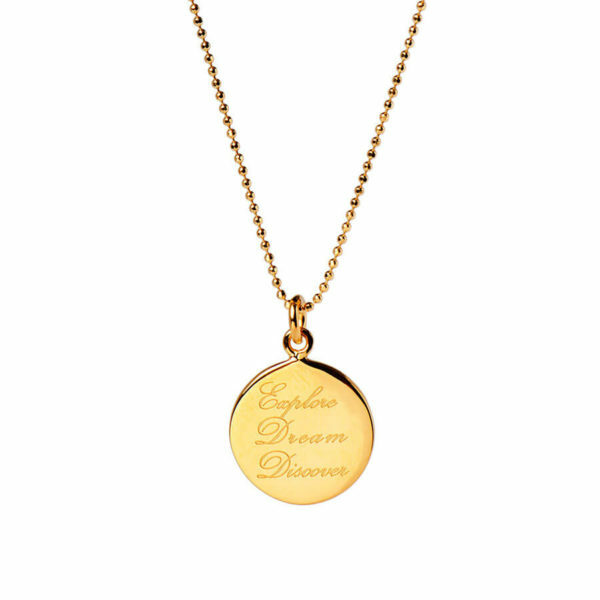 A gentle reminder to live life to the full, or as a good luck talisman to anyone embarking on new adventures. Available in 925 Sterling Silver, 18ct Gold-Plated 925 Sterling Silver or 18ct Rose Gold-Plated 925 Sterling Silver. 1.5cm pendant hangs from 18-20in chain. 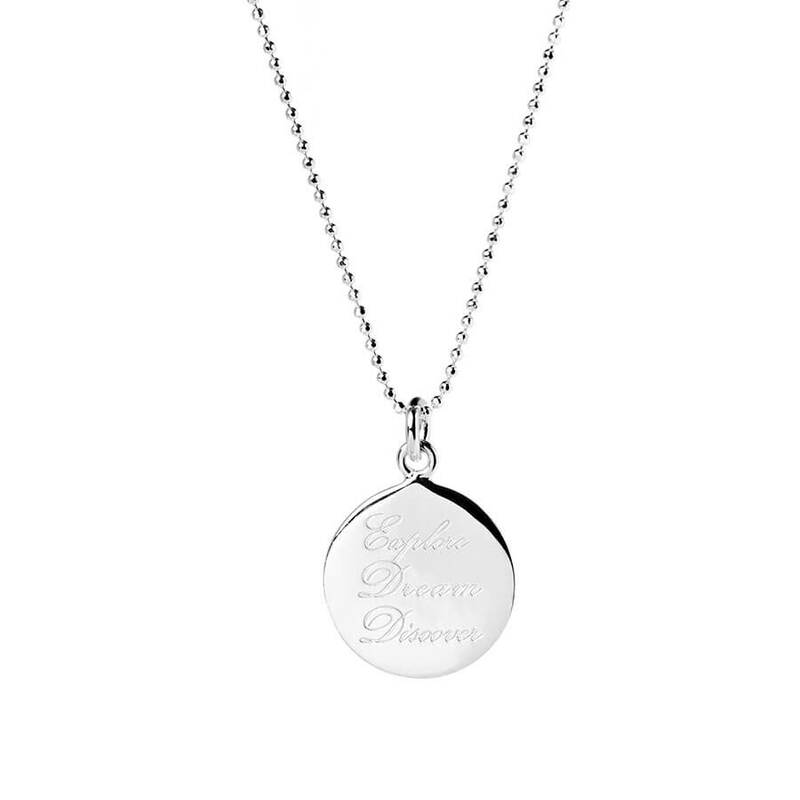 The chain has a lifetime guarantee. A perfect gift for Bon Voyage, or a new job, or starting university or a new adventure; or an uplifting and inspirational self-purchase. Mantras are powerful phrases, designed to have a positive effect on how we feel. Repeating a mantra uplifts us; it excites, motivates and focuses us. Most powerfully of all, it can bring self-belief. Hold your necklace from time to time through the day, and say its mantra to yourself, when you need motivation or inspiration. 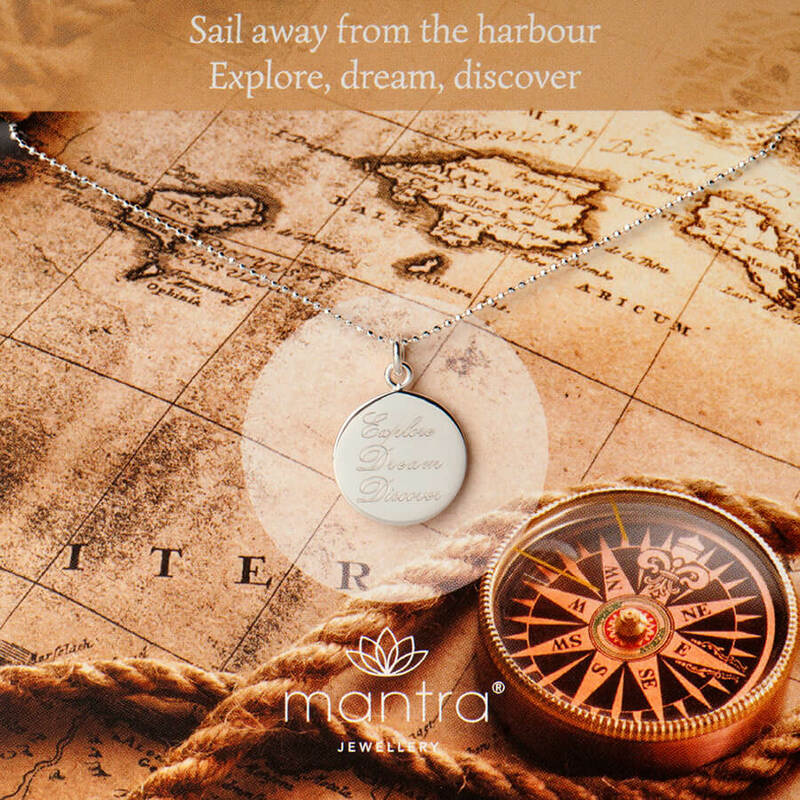 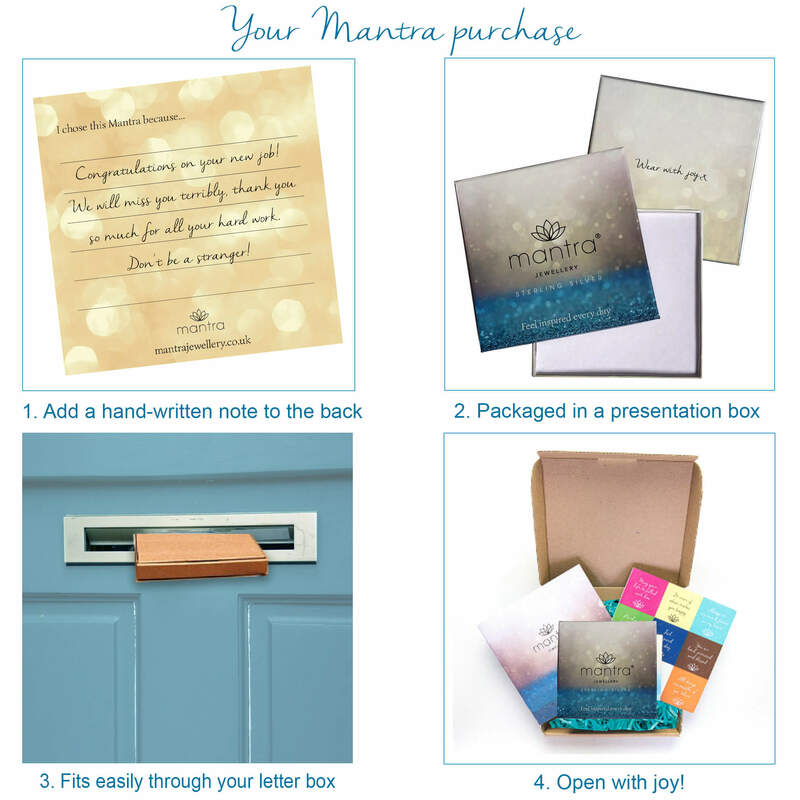 Mantra Jewellery is intended to provide a beautiful and personal means of wearing your mantra, in a way that lasts, whether you buy it yourself or it is a gift. 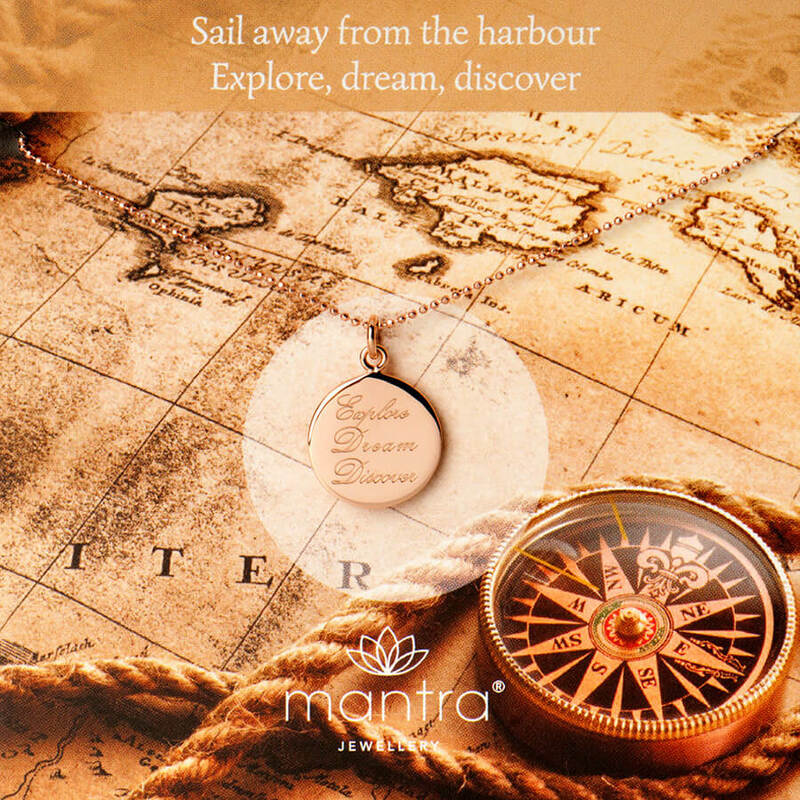 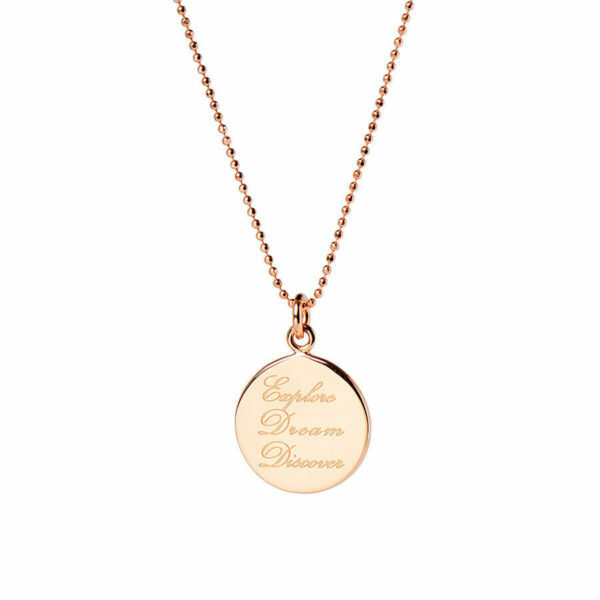 Wear your Mantra Jewellery to feel inspired throughout the day.